Popular open-source blogging software platform WordPress is today celebrating eight years since it released the first version of its self-hosted blog software, a time where the latest stable version nears 11 million installs on third-party servers. A year ago, WordPress creator and Automattic founder Matt Mullenweg posted to the official blog to commemorate seven years in the blogging market, announcing milestones from its previous year. The company had facilitated over 10 million theme downloads, doubled plugin downloads to 60 million and received assistance from over 1,500 people via its Trac developer community. This year has seen WordPress used by over 14% of the world’s biggest websites, with downloads of its previous two versions nearly the 50 million downloads mark. Theme downloads have surpassed 20 million downloads, with over 1,500 free themes available. 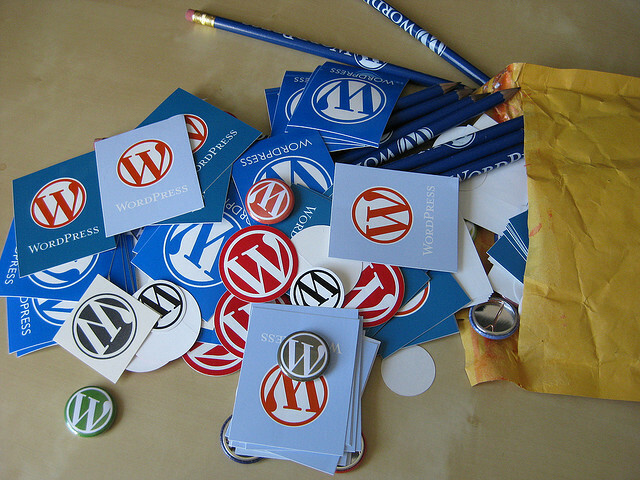 WordPress was born out of a predecessor known as b2, one of the first open source blogging platforms. In 2003, b2 was already responsible for running more than 2,000 blogs — considering that the concept was still fairly new and had only been embraced by a swath of early adopters, these numbers were significant, though a pale shadow of WordPress’ reach today. The success of the platform hasn’t been limited to just the self-hosted software; In January, WordPress.com saw 6 million blogs sign up in the year previous and total pageviews stood at 23 billion, up 53% from 2009. Users combined to upload a total of 94.5 terabytes of new photos and videos, while new posts increased 700% to 1.4 million in 2010. In December, it was revealed that the WordPress.com accounted for half of all WordPress blogs around the world. The other half, of course, consisted of self-hosted WordPress.org installations. The figure is has grown past the 18 million mark but as we have no official statistics at the moment, it could be closer to 20 million, or higher. With success comes opposition. In this case, WordPress was targeted by attackers and suffered its largest ever DDOS attack at the beginning of March. Mullenweg issued a statement at the time indicating that the company suspected political motives. All of that aside, it’s been another fantastic year for the company. The WordPress ecosystem is so large that developers and designers are able to create businesses that solely exist to serve WordPress users by providing themes, plugins and support. We expect Mullenweg to post another blog post looking back at the past year in WordPress’ history later on Friday, providing us with the very latest statistics and an overview of the ecosystem as a whole.